A powerful step forward for the world’s best-selling electric vehicle. Get ready for a whole new way to drive, where the everyday is exhilarating. Feel more confident, excited, and connected – wherever you go. All in a car that does simple things amazingly. 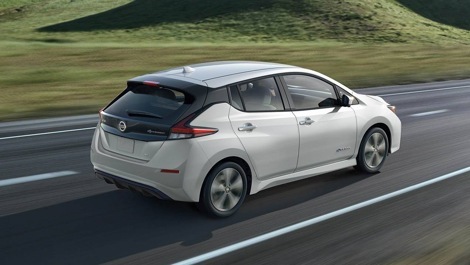 With a battery pack that sits low in the chassis, Nissan LEAF takes on curves with ease and brings fun-to-drive handling that makes corners as enjoyable as the straightaways. 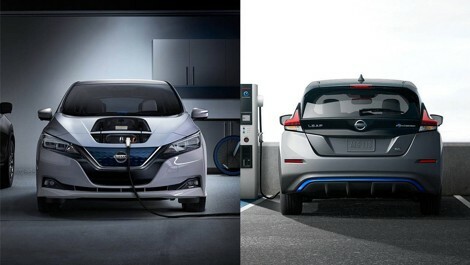 More than just a daily commuter, the new Nissan LEAF® gives you the freedom to go farther than ever before. The Leaf takes you an average range of 243 km, a 40% increase from the prior Nissan LEAF generation, so you can go places you never thought you could. Where the Kia Soul EV comes close with an average range of 179km, the Nissan LEAF® pushes that much further. WHICH VEHICLE HAS MORE BATTERY POWER? Nissan LEAF’s battery pack has been developed in-house, rigorously tested, and has an extraordinary record of reliability, meaning you can feel confident you are driving the best battery technology around. While the Kia Soul EV has a 30 kWh lithium ion polymer battery, the LEAF® surpasses with a 40 kWh lithium-ion (Li-ion) battery and fastest public DC quick charging. Change lanes with confidence. 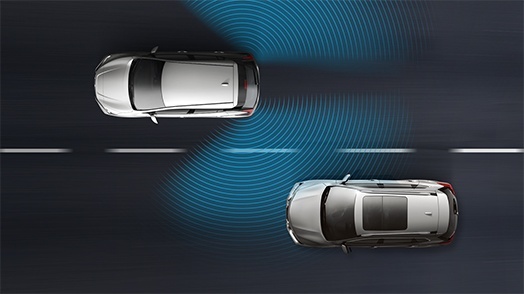 Available Blind Spot Warning keeps an eye on the blind spot area and gives you a heads up if it detects a vehicle you might not have noticed.